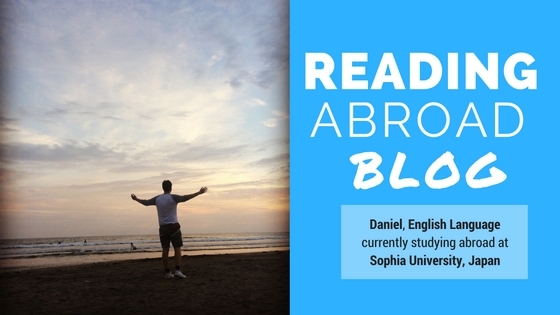 Daniel is currently studying abroad at the Sophia University in Japan as part of his English Language degree at Reading. Read his blog entry about settling into his new home in Asia for next academic year. I never imagined when I started university two years ago that I would be sitting here in Tokyo with the sound of the subway occasionally rattling by, writing a blog post about my first few weeks in this amazing city. To say that this was the best decision of my life is a definite understatement. In order to prepare for such an adventure, you can research interesting landmarks to go and see, maybe even plan a few day trips you want to experience and click through the endless pictures that epitomise why you decide to go on a study abroad placement in the first place; but nothing can truly prepare you for seeing your new home with your very own eyes. The endless surprises Tokyo throws at you, whether it be a shrine right next to the hustle and bustle of the city to the amazing restaurants hidden away down a side street – the possibilities seem endless here. There is always something to do or somewhere new to go! Another thing that feels endless is the city itself. 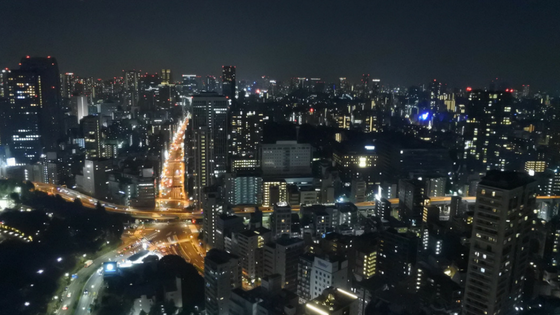 I was lucky enough to go to Tokyo Tower and see some amazing views of Tokyo at night and it went on as far as my eyes could see – it was truly phenomenal! Of course, it’s very easy taking part in all of these fun activities to forget that you’re on the other side of the world away from all of your home comforts and the people you love and who love you. However, my advice is this – study abroad is what you make of it and you must always remember why you wanted to go abroad in the first place! For me, I wanted an adventure full of culture, language and education and so here I am getting as much of this as possible! 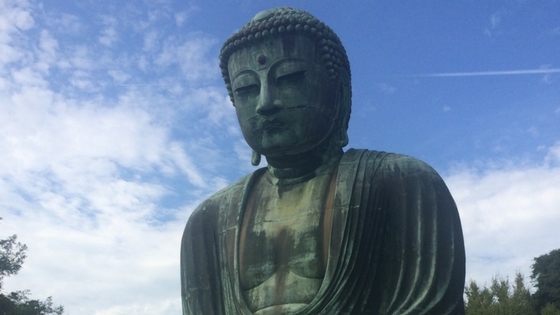 A recent visit to the Kamakura, just outside of Tokyo let me a see a glimpse of the culture and religion that runs so deep in Japan. The shrines and giant Buddha, named Kotoku-in were phenomenal to discover and I’m so excited to see more! Sophia University itself has been wonderful so far! Located right in the city centre, it’s about 25 minutes away on the subway from where I live in Shin-Koiwa! It’s as though Sophia is a small city all on its own with high rising buildings all contained on its small campus. I’m really enjoying my Japanese languages classes especially; I seem to be improving much quicker now I am immersed in the language. Of course, nothing can beat the swans on Whiteknights Lake, but there is a definite sense of community here that I certainly feel a part of. I’m hoping to join a sports team, either water polo or basketball this semester, as I certainly hope to meet so many more interesting people in new social circles as well as have fun! This sense of community is down to the people – and it goes far beyond the walls of Sophia! The people of Tokyo are the best part; never have I experienced such a polite and helpful community to help you out of any predicament – especially their patience with the (temporary) language barrier! After a night of karaoke and all you can eat and drink, the thing you need most when struggling to get the correct train home is a friendly member of the public to help you out!